Trifexis is a controversial canine drug made by Elanco, and the number of dog deaths being attributed to it is larger than that attributed to the Chinese made jerky treats. Elanco is being very secretive with the information that they have, making people wonder what is going on. 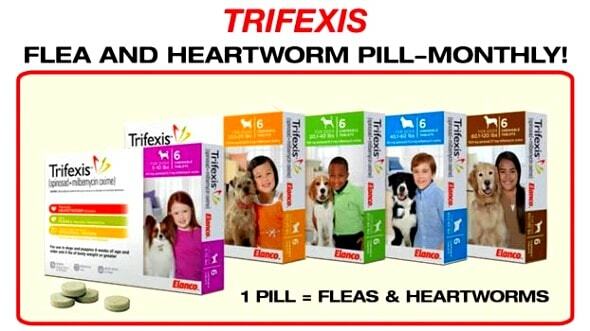 Trifexis is one of the most popular flea and heartworm pill on the market. The top seller of its kind, dogs everywhere in the United States have been given the drug. After Channel Two Action News in Atlanta, Georgia journalist Jim Strickland filed a Freedom of Information request with the US Food and Drug Administration (USFDA), he found out that about every 36 hours, someone reports that Trifexis has killed their dog. After gaining the information from the USFDA, Elanco responded by having Strickland speak to one of their top veterinarians. This was the first time the company agreed to publically speak about the situation, and the claims being made against their product. While Dr. Stephen Connell did say that the company was willing to talk about what was going on, and claimed to want to set the story straight, he still would not release any information on the number of complaints they’ve received, nor how many actual dog deaths can truly be the result of Trifexis. Elanco is compelled by law to report these numbers to the USFDA. The information packet given to Strickland by the USFDA said that 700 deaths were reported. That’s 120 more reported dog deaths than the number of reported cases surrounding the Chinese-made chicken jerky treats that happened not that long ago. Strickland has talked to residents near Atlanta, Georgia that are completely convinced that Trifexis was what killed their dog. Time after time, the story sounds exactly the same. 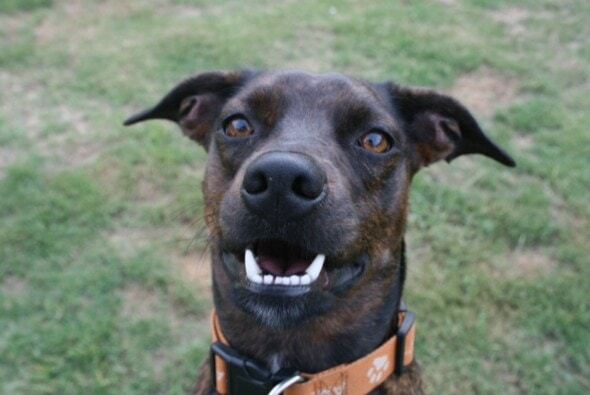 The dogs either died only hours after the administration of Trifexis, or became so ill, they had to be euthanized. The numbers from the USFDA showed that 259 of the 700 reported deaths were dogs that had to be euthanized. They also said that the numbers may actually be even higher than that. The figures given to Strickland were not the most up-to-date. They informed him that they are doing an update to their systems, and will give him the full information when that is complete. Glad I never used it! My dogs have used it with absolutely no side effects. Remember, any adverse event that is reported after taking a medication has to be reported as a medication side effect, including death because the animal was hit by a car! Get all the facts and read all the reports before you make a decision. Wow. I’m glad you aren’t one of my friends. You put convenience before the safety of your dog? It’s not just convenience! It’s the removal of disease causing ticks (Lyme, rabies, etc. this med has absolutely NOTHING to do with rabies. (pls get your facts straight). i use a cheapo flea and tick preventative, Hartz Mountain. and a generic Heatworm med. i am vigilant in checking my dogs for fleas and ticks. it also helps to know exactly what a deer tick looks like. although other tick borne diseases can be contracted thru other kinds of ticks, they are not as debilitating as lyme disease. i also use a Hartz Mountain flea collar so as not to cause a reaction between to different products. i also live out in the woods, although i do not let my dogs run rampant. i rarely treat my yard (last time was more than 5-6 yrs ago. i keep my grass cut short. oh yes….if you have to remove the tick, you could already be too late. Hartz is to be avoided at all costs. They have killed many loved ones.? No, it was the fact that you didn’t neuter him that killed him. You are lucky. I gave Trifexis to my dog and she had such a bad reaction from the drug I almost lost her. Thankfully she survived but spent a week at the vet. I will never give this drug to any of my dogs and have been sharing my experience to anyone I know with a dog. My dog has been using it for almost a year with no side effects. My dogs hated it! Border Collie will eat anything and would not take this…..even buried in meatballs. I did not like the strong strong chemical smell. I don’t use this anymore. What do you use now? My Border Collie McNab used to take Comfortis but they switched us to Trifexis for the heart worm prevention. My dog hates them both! I switched my girls from Trifexis to Nexgard and Heartgard. Apparently it tastes good because they gobble it up. No so much with Trifexis. Research, research, research. My vet recommended this to me a year ago and my research suggested it might be dangerous. “Might” was enough for me. Some dogs seem fine with it but I didn’t want to try it. My vet recommended it to me and my dog threw it up immediately. Then she recommended I give it to him with food he would still throw it up. It should not be making my dog sick every time he takes it. I now give him heart guard and topical flea medicine rather go through the trouble then make my dog sick. Made our dog very very sick. If you know of this , be sure and read the article above. The article addresses Jennifer Parker’s statements below. Matthew, this makes me nervous now for our babies! They’ve never had side effects, but still…. Why do vets continue to sell this garbage? I’m old school. Heartguard and Advantage. Works for us! Oh…big surprise…..made in China! When is our country going to ban their products….seems like their stuff has been shown to be dangerous in one way or another! They are a scourge on the face of the earth. I have used it for my gal for years with no side effects. Although the smell is horrible. What else can one use to obtain the same protection? I’m pretty sure this is what killed my precious Chi, Homer. :/ They tried to blame it on other things, however he was perfectly healthy until they put him on Trifexis. My heart is still broken. I lost one of my babies to this and possibly another one. Daniel Gooding we need to find something else for Charlize! I don’t use any of these RX or OTC flea treatments. Last time I used them on our dogs, my male had seizures. 11 months after that he was DX’d with Hemangiosarcoma. I don’t know for a fact if that flea treatment was responsible for his cancer, but I feel that contributed to it. Walmart’s shelves are full of the China made treats. I always warn people. Please beware. There are other products. If you are concerned, ask your Vet what he or she might recommend!!! Velma, does Rufus take this? Is this Rx only or OTC? My dog can’t take it because of seizures. It would be interesting and educational to know what % of dogs who have been administered this have had this reaction. As with most statistics, just looking at a number without putting it into perspective simply leads to inaccurate conclusions, especially if you consider that people with zero veterinary knowledge are ‘convinced’ that this drug is responsible. I’m not saying they are right or wrong, only that they may not be the most reliable judge. More comprehensive information from the company would go a long way towards clearing up the issue and comforting the chicken littles of the world. This drug was the only option we could find for our Pit Mix because his skin is so sensitive that his back turned red for days after applying any topical treatement, I trust my vet completely, and he has had zero reaction. Good points Chris, Human medications list all possible side effects so you can decide for yourself if the benefits of taking the medications outweigh the risks. Pet drug manufacturers are not held to the same standards. My dogs have been using trifexis for years without problems. Do I want to risk my dogs getting heartworms in mosquito infested Florida, no! I do not much want to have fleas biting my dogs or me either, so for me it is worth the risk. I just want to be well informed of the actual risks. Penicillin is a prime example of a good drug that has saved many lives but has also killed people with allergic reactions. Lacy has been on Trifexis for 5 years, with no issues. My dog had severe seizures on Trifexis. Both of my dogs have been taking this for years with no side effects. What do you all use for heart worm preventative? My BC mix had a reaction for the first time last week. Of course, the vet didn’t think it had anything to do with Trifexis. I’m not so sure. He vomited several times and was disoriented. Scared us when he kept running into the walls. We immediately took him to the emergency vet. Heartgard. It’s soft and chewable and smells like a treat. Much easier to get them to take. Don’t feed my dog ANYTHING made in China! Mira Diana le dabas está a Jade? My dog used it and was fine. We couldn’t keep up with the cost of it so we stopped buying it and getting the heart worm tests. Used for a year and 1/2. My dog refused to take it willingly, very strong chemical order. He would throw it up half the time. Sometimes dry heaves. Went back to heartguard and advantix – all is good. Read articles, get 2nd Vet opinions if necessary, ask questions, get informed, listen to others and your own gut instincts! Are you a gambler with your pet’s life? I’m not. I DO NOT BUY ANY EDIBLE CHINA-MADE FOOD, TREATS ETC!!!!! I cut china off a long long time ago for my furbabies – no medical issues with mine! Cheap usually equals china & other foreign countries. Read labels – even if it says USA read the fine print. Mine had seizures when she took this. Never again!! My dog has been on Trifexis for months and is fine. Considering the thousands of dogs who took this medicine and are fine, these numbers aren’t very concerning. A small subset of patients have severe reactions to nearly all medicines on the market. Not concerning? We’ll see how concerning it is when it’s YOUR dog that dies horribly. Please cite the scientific and documented evidence which support your claims. If you can’t, I suggest you cease making potentially false and libelous accusations, and report your concerns to the appropriate government organization for investigation. And no, anecdotal claims are not evidence. Unless necropsy either ruled out other causes or found evidence that implicates the drug, then a causation link can’t be made. Our 2 dogs have been on this for almost 4 years and it works great. Never had a problem. China is trying to kill us all off. Stop buying anything made in china! My dog got sick after taking her fist dose. Had to take her to the vet for meds to calm her stomach down. The vet did not think it was from the Trifexis, so I tried it one more time. When she got sick again after the second dose, I never used it again. It is scary that this was never reported on. 700 deaths and nothing is being done? Glad I don’t use this for my dogs !!? My dogs have been using it for 4 years with no side effects. Matt Christ good thing I switched meds ? Angela Hennelly Anne Collen Mary Kennedy I wonder if this is sold or rebranded & marketed over here? Taking Trifexis for a dog is no different than a human taking a medication. Dogs & people react different to different medications. My dog has had no reaction to Trifexis for the 3 years he’s been on it. I”ve had my dog on Trifexis for 4 years. No side effects or problems, plus it works very well. Over, and over and over I try to warn people about the dangers of Trifexis, heart-worm treatments and over vaccinations and de-wormers. People, keep in mind that these are insecticides and pesticides!! For fleas use the external applied treatment on the back of their neck once a month, less if they are primarily indoors. For intestinal worms use a treatment only once or twice a year. I use diatomacious earth on going. Keep in mind, Vets need money and so do pharmaceuticals. Here, you see three of my four babies. The two in the back are my older dogs, one is 17 and the other 9. As a veterinarian, this greatly upsets me. Why people think we’re in this for the money is beyond me because we come out of school with more debt and get paid less than any other medical professional. If I cared about the money, I wouldn’t tell people to get heartworm prevention; I’d wait until their dogs contracted heartworm disease and then had them go through expensive and risky heartworm treatment. We actually do know what we’re talking about; 8+ years of higher education and continued education on a yearly basis will do that. My only goal is to keep pets happy and healthy, and that includes routine heartworm and flea medication. As far as I’m concerned, if an owner doesn’t give the heartworm preventative and their dog contracts heartworms, their death is on that owners negligent hands. Trifexis is a good product. My favorite combination is Heartgard and Nexgard, only because it gets heartworms, intestinal parasites, fleas and ticks (the most complete protection on the market). But Trifexis is a fine product that I’ve used in my own dogs for years. Every single medication has side effects, but it’s up to us to recommend which pets get them. 700 deaths is tragic (though I would be hard-pressed to believe that they’re all from the drug and not something else going on). But considering how many hundreds of thousands of dogs have taken the drug without these issues, that’s an extremely low number. I have zero issue prescribing it to 90+% of my dog patients. Do your research, but respect your veterinarian and their expert opinion. Let us be your pet’s advocate. All of my dogs have been on Trifexis for years. They have had no side effects – in fact, I changed to this drug because the liquid one that is placed on the back of the neck made my dogs sick. And all of my dogs are rescues and I have no idea of their history before I got them and they are still doing fine. I am a veterinarian. I do not personally dispense Trifexis, however, in the veterinary community as a whole, there have been no concerns raised about it. We are not seeing a suspicious number of adverse effects with Trifexis the way we have with jerky treats. Scary to hear! I am fortunate my 7 1/2 yr old dog has been taking this for a couple of years now without side effects. However my new vet in Denver has recommended putting him on HeartGuard once his prescription has run out. He feels it isn’t necessary as we don’t have a real flea problem in the dry altitude. With this news I feel like this recommendation is a good idea. My white boxer had a terrible reaction. I believe she almost died. Her eyes rolled back in her head and she was unresponsive. I kept rubbing on her and trying to wake her up for about an hour. She slowly came too, but was in a bad way for a few days. Switched back to Frontline plus. It’s probably because you have a white boxer, unfortunately. White boxers are, on whole, quite unhealthy. In the United States alone about 70 million doses of Trifexis have been dispensed and 15,000 veterinary clinics rely on the product. Elanco and the FDA conduct continuous, on-going monitoring on Trifexis, and all products, to determine if there are any signals or trends in the data, any increases in frequency of certain types of reports, etc. We’ve seen no significant changes in reporting rate from year to year over the life of the product. In fact, we’ve recently completed a thorough review and analysis of Trifexis reports that mention death and have presented that to the FDA. There continues to be no established link between Trifexis use and death. It’s critically important to understand that reports are not an indication of cause. For any given ADE (adverse drug event) report, there is no certainty that the reported drug caused the adverse event. The adverse event may have been related to an underlying disease, using other drugs at the same time, or other non-drug related causes. Anita Bergen’s case illustrates that a report is not necessarily an indication of cause. This case includes a number of other factors including a pre-existing, degenerative neurologic condition, long-term use of an untested, unapproved product and a diet lacking appropriate nutritional balance. Further, Scotties are naturally predisposed to several of the conditions listed in this case. The data suggests it’s unlikely there was any connection to the product in the pet’s unfortunate passing. Also as we discussed, the data show this level of reports is similar for other products dispensed for heartworm prevention. Revolution is by far the BEST heartworm,, flea, tick and ear mite protection! Many dogs and worked out well. Why don’t more vets carry it? We don’t carry this at our clinic because we’ve had several dogs (who were given the product religiously every month) end up being heartworm positive. A dog (or any living thing) can have a reaction to ANY ingredient in ANY product. Dogs have had reactions to every conceivable pest prevention method. It is a good idea to keep a close eye on an animal after using a new product. I don’t love putting things like this on or in my dogs, but sometimes the benefits outweigh the costs. Obviously, if you have a dog that reacts to the ingredients, stop using the product. But the majority of dogs will not. It doesn’t make it any worse of a product than any other, use what works for you and your dogs. It really isn’t that complicated, and fear mongering doesn’t do anyone any good. Also, although I mostly skimmed the article, I do not believe it said anywhere that Trifexis is made in China. I don’t know where it is made, but the China references I saw were about the dog treats that have caused deaths, and merely comparing the numbers. I have had two (2) Standard Poodles on this for several years. My male (neutered) had to be taken off because he started having irregular seizures. My girl (spayed) continues to take it with no side effects. I give half of the tablet in one of two feedings, and the other half at the next feeding. She has never had a problem. Trifexis works. We have ferral cats and rescued cats, and no fleas or ticks (fingers crossed for continued blessings). We contribute the overall health of our animals to keeping those afflictions away. Trifexis works. I AGREE THIS DRUG IS A KILLER , THEREFOR AS A VET I HAVE NEVER RECOMMENDED , WHY SO MANY COMPLAINTS FROM THE OWNERS AND FRIENDS ,MOST OF TIME VOMITING , NOT THEMSELVES FOR SEVERAL DAYS , VERY SICK AFTER THIS DRUG , I KNEW, I HAD NO DOUBT THAT IT WILL GET HERE . VERY SAD AND A LOT OF VETS THEY STILL SELL IT . RESEARCH, RESEARCH, RESEARCH . My dog was deathly ill from one dose. Of I would have listened to the instructions and given her another dose after her vomiting stopped, she would have died. What an ugly drug. One of our puppy owners used it ONCE – the dog had severe seizures almost immediately. Took him off it and had one more seizure then has been seizure free since. Nothing was different – it was the Trifexis. Had they continued giving it to him he would have surely died they were so severe. Trifexis made one of our dogs extremely ill. The other 2 seemed to tolerate it but we quit giving them this drug. The 2 medications in Trifexis have been used in conjuction for many years with no problems. There’s nothing wrong with this drug and NOTHING has shown any real connection between these “reported deaths” and the medication itself. Correlation does not equal causation! This has been thoroughly debunked…yet it comes around now and again. The first time I gave it to here she did throw up but not since for almost 2 years now. The key seems to be that I feed her a little more than normal, let that digest for about an hour or so and then give her the pill it is true that she does not like it and I have to put in in her mouth, down her throat basically and hold her mouth shut and massage her throat to get her to swallow it but then I let her lie quietly for a few hours and everything seems fine. No vomitting or other side effects. No more heartworms or fleas or anything else. My dog had a reaction to it… She started scratching everywhere! As soon as this drug got out of her system the itchiness stopped! Won’t ever use it again! Do see some nausea but vet says be sure to feed on full stomach. She seems very hungry for a day or 2 & I do feed more. Trifexis has been ok. No fleas or heartworms. She’s 3yrs old but this fb post alerts me. I’m calling her vet. So why is it still on the market? ?